SPOILER ALERT: We’ve already had one set of nominations this week, but after Chima’s removal from the game, we have a new set of nominations to report. 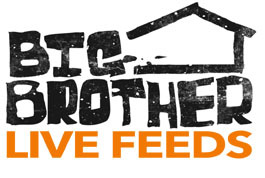 Continue reading to find out was nominated for eviction this week. If you haven’t already heard, Chima was expelled from Big Brother 11 this week by the producers. Since she was one of Michele’s nominees, Big Brother ended Michele’s reign as Head of Household. In a new Head of Household competition, Jordan won and took over the power as HOH. For the second set of nominees this week, Jordan nominated Lydia and Natalie. FYI – Natalie has now been nominated THREE times in FIVE days! HOW ARE THE HOUSEGUESTS REACTING TO CHIMAS EXPULSION?